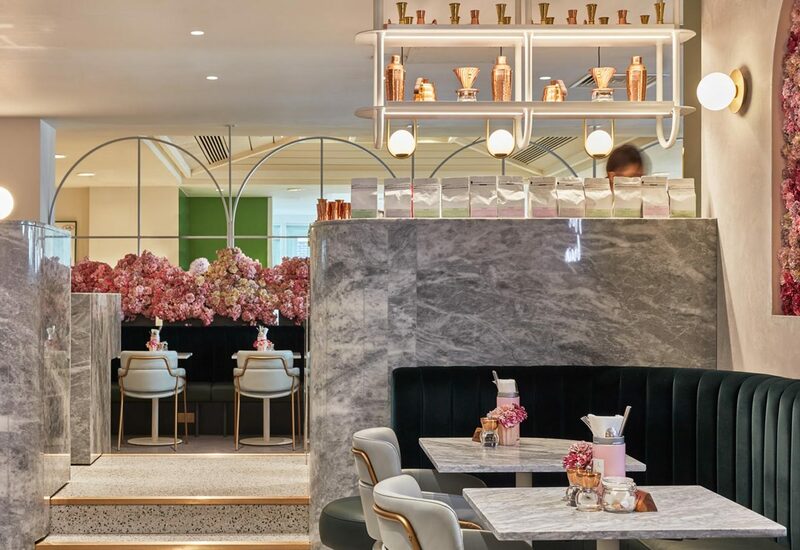 The Selfridges on London’s Oxford Street is both a retail institution and cultural landmark, world renowned for its welcoming environment and indulgent customer experience – our conceptual starting point. 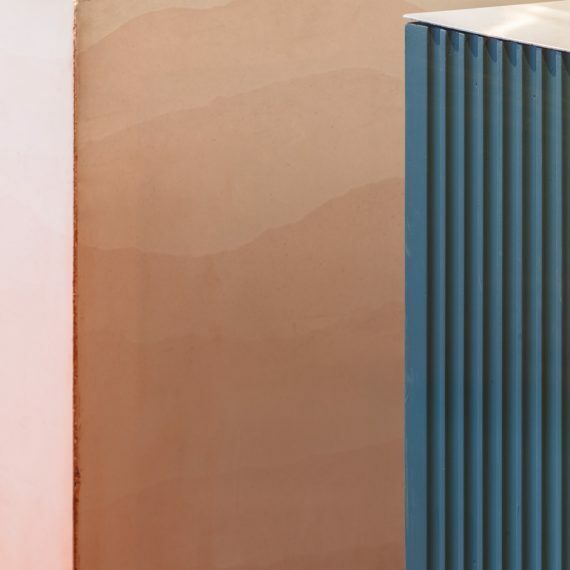 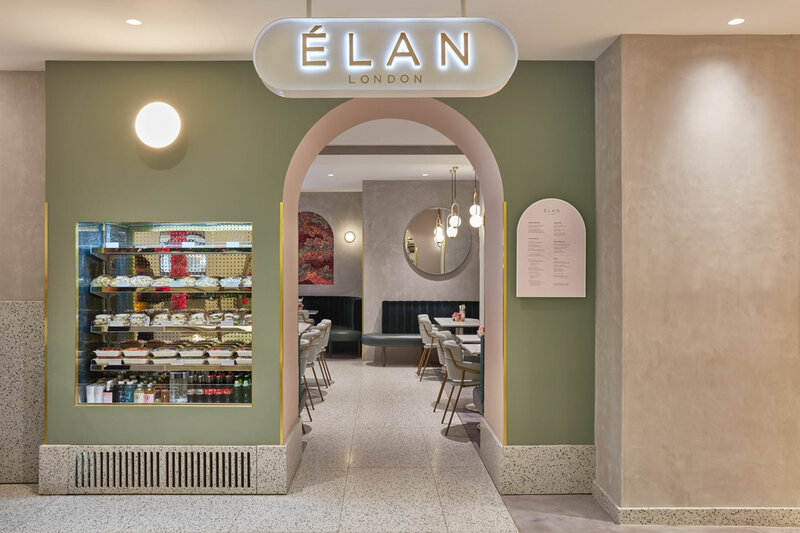 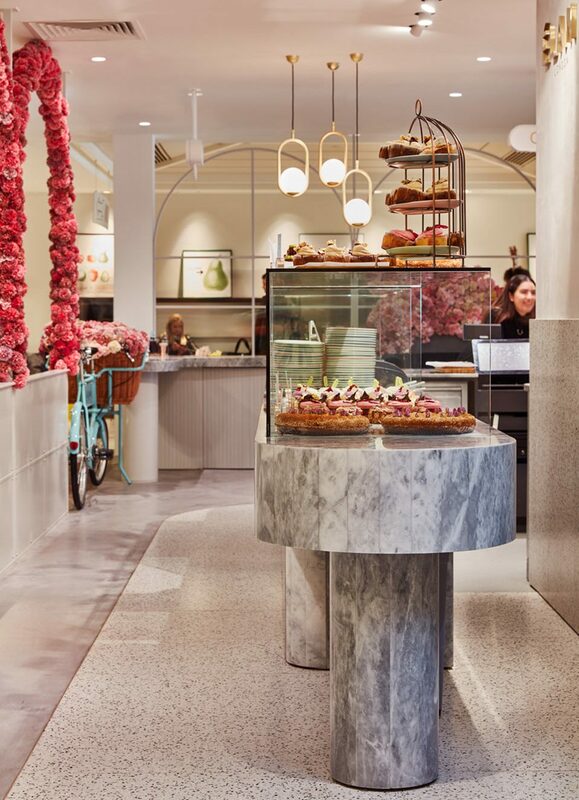 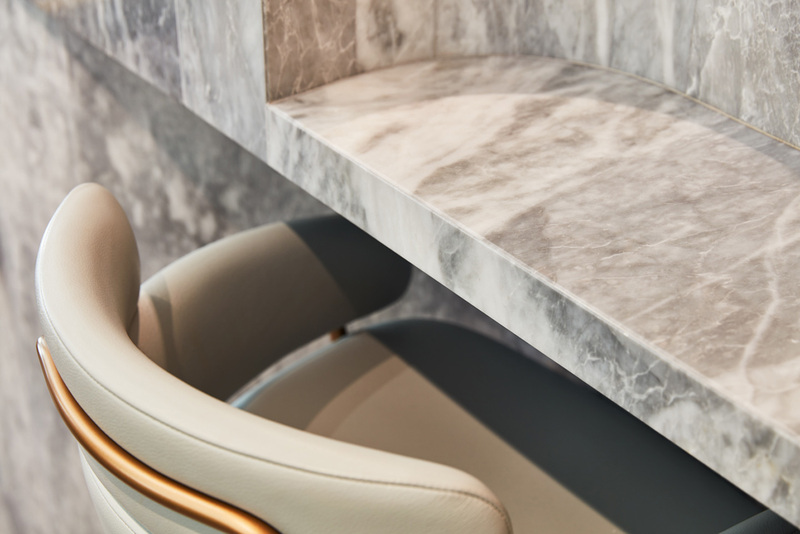 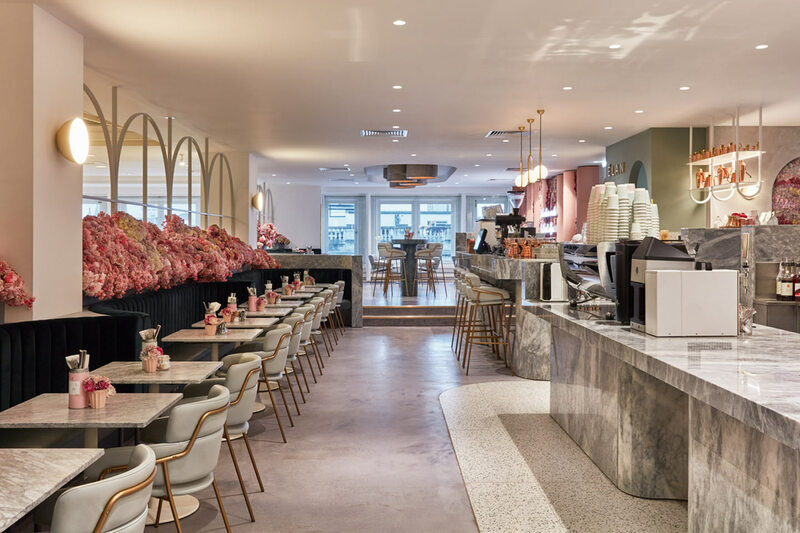 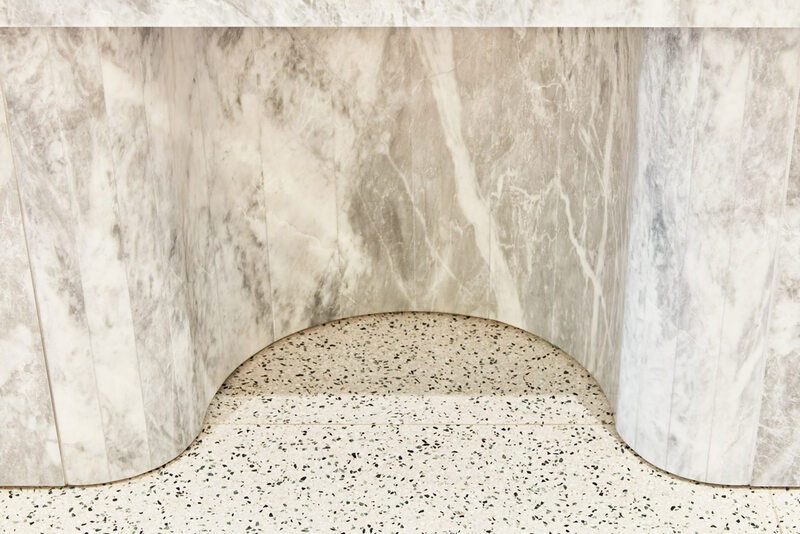 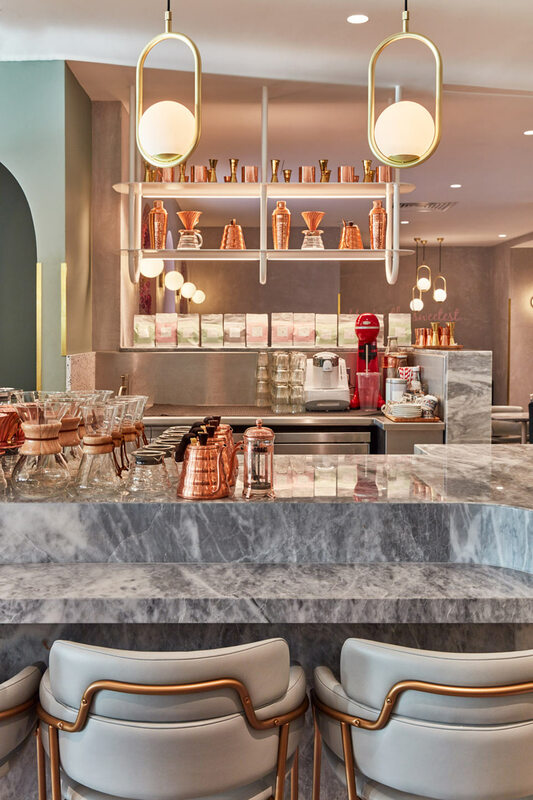 ELAN occupies part of the fourth floor at Selfridges, and employs a restrained material palette, focusing on a centre-piece grey marble counter that undulates and weaves through the unit to divide the space. 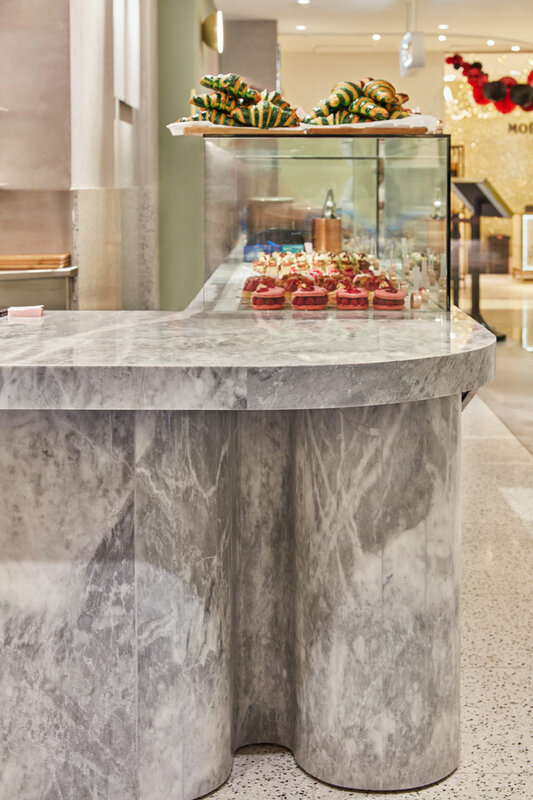 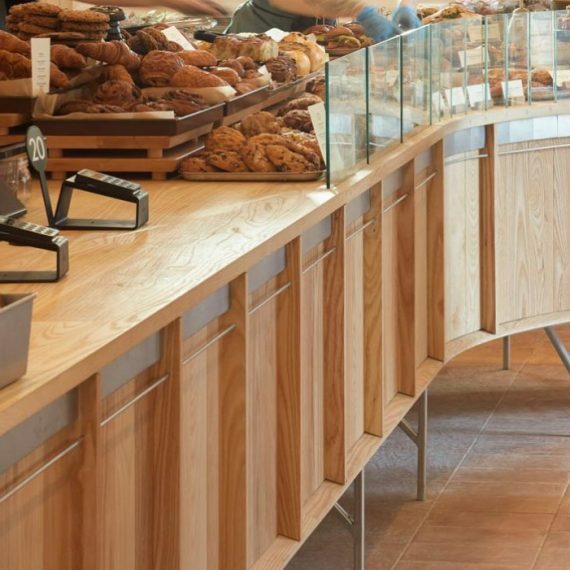 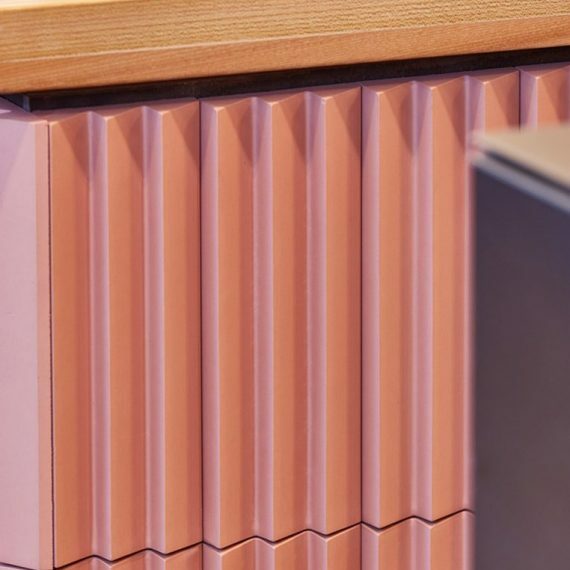 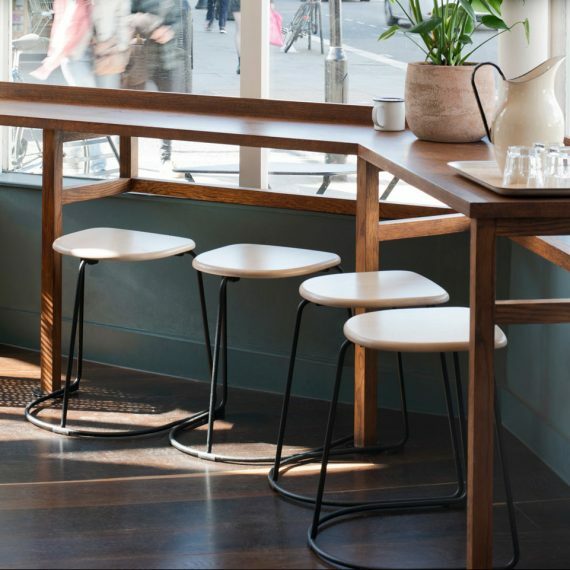 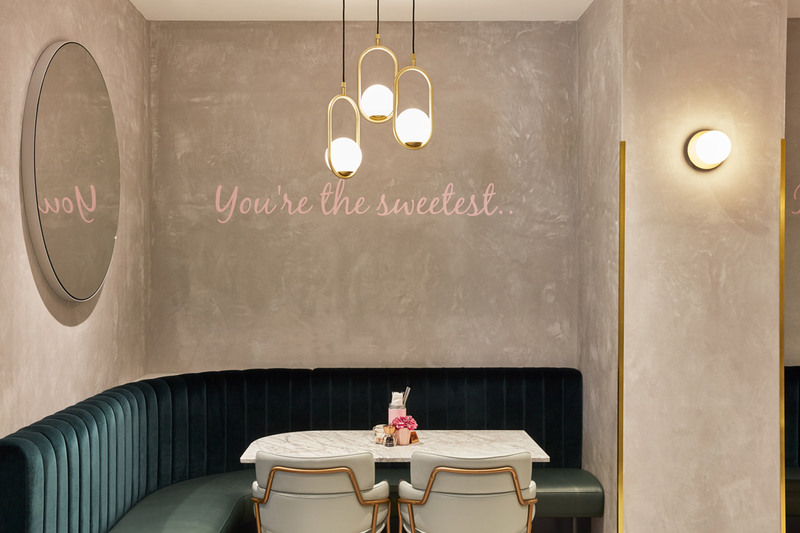 From this counter the space is then organised to create a series of more private seating areas furnished with green velvet and leather banquette seating. 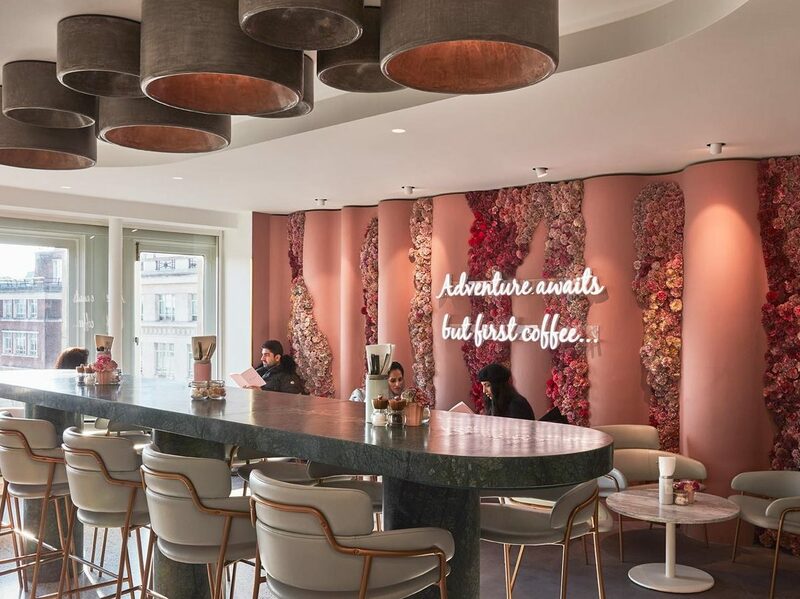 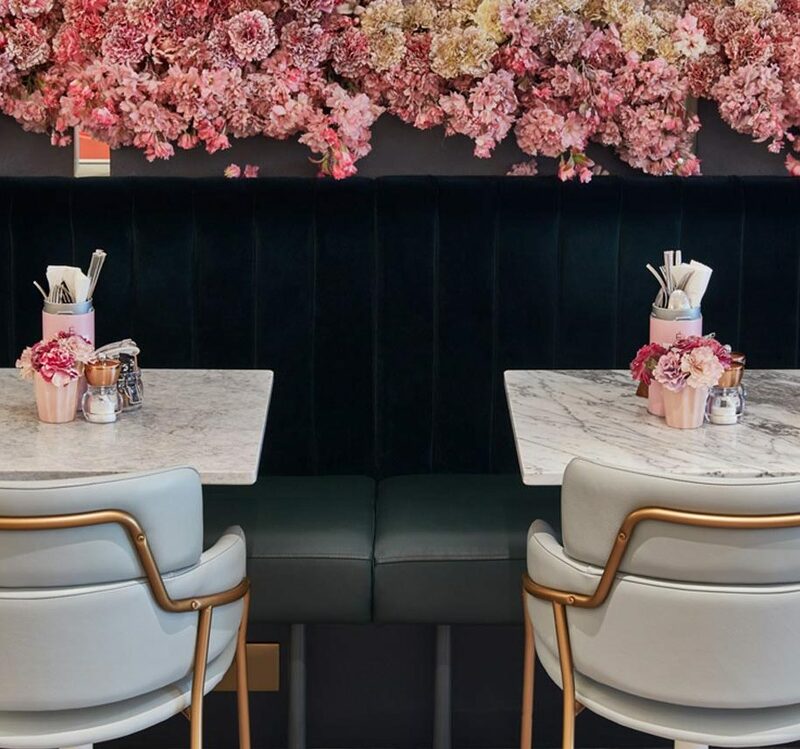 A bespoke lighting fixture is adorned above a communal high level table, against the backdrop of ELAN’s iconic “flower wall” – now synonymous with the brand, and a popular backdrop for social media promotion. 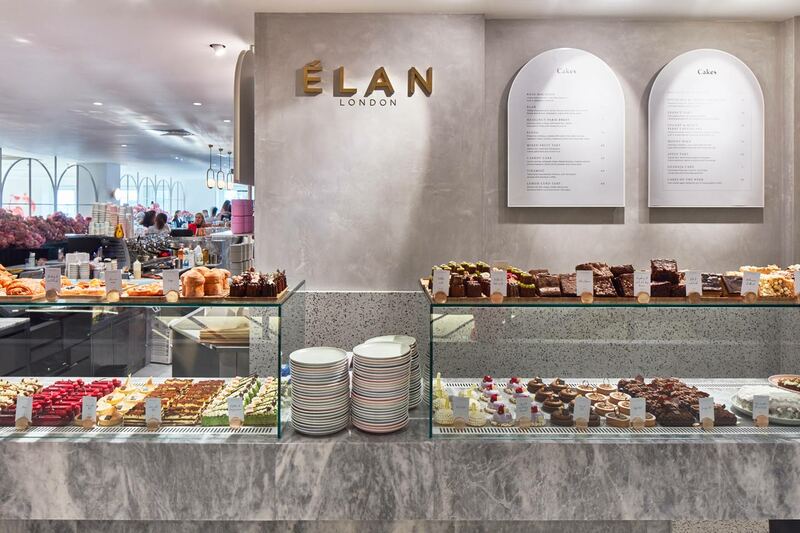 A row of screens run along the edge providing separation from the hustle and bustle of the main Selfridges floor.